I am considering getting dental implants, but have heard that those based on a titanium implant can cause neurological problems because of metal being used in the body. Yet, most dentists prefer to use titanium, even though there are zirconia implants available. Is there a reason for this? There hasn’t been any research, that I am aware of, which indicates the titanium from dental implants causes neurological problems. In fact, titanium has been used for decades throughout the body, including procedures such as hip replacements. A blanket condemnation of metals being used in our bodies is not justified, though many naturopaths lean that way. However, our body needs certain metals such as iron and zinc. In fact, they are essential to a healthy body and are needed in your nutrition. 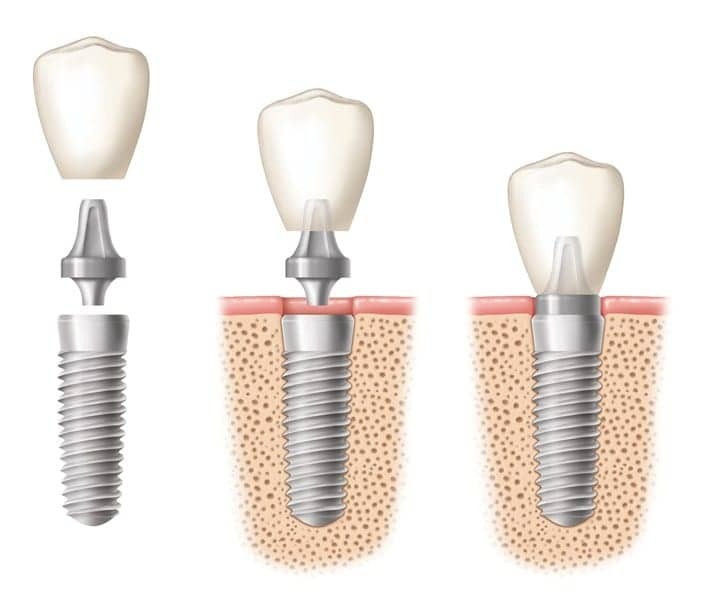 The simple reason most dentists prefer the traditional titanium dental implants is documentation. We have decades of evidence they work and are safe. The Zirconia implants are still new. If you had severe metal sensitivities, then by all means, go for the zirconia implants. There are dentists comfortable using them. You’re also fine to get them if it just makes you more comfortable than the idea of titanium, so long as you understand it doesn’t have as much documentation on its longevity. I wouldn’t do it out of fear of neurological problems, though, simply because those fears aren’t based on any empirical evidence. The most important factor in any implant case is finding a dentist with the right training and experience. Make sure they have a high success rate (no less than 98%). I’m one of those rather “mature” women. When I was 20 years younger, I lost most of my teeth due to a car accident. I was given dentures. I was never even told there were options to dentures. I tried to make the best of it. It was embarrassing having false teeth and they were never comfortable. My daughter just lost a tooth due to a massive infection. She replaced her tooth with a dental implant. It seems so much nicer than what I have. It stays put. Mine have always moved. Lately, they don’t even fit properly, though my dentist insists there’s nothing which can be done about it. 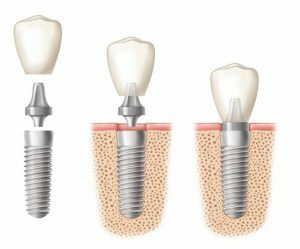 Am I too old for dental implants? You’re never too old for dental implants. However, because you’ve had dentures for so long, you’re suffering from facial collapse. Is there any chance your lips and/or jaw have been looking sort of sunken? When you first lost your teeth, your body began to reabsorb the minerals in your jawbone to use elsewhere throughout your body where it determined the minerals were more useful. 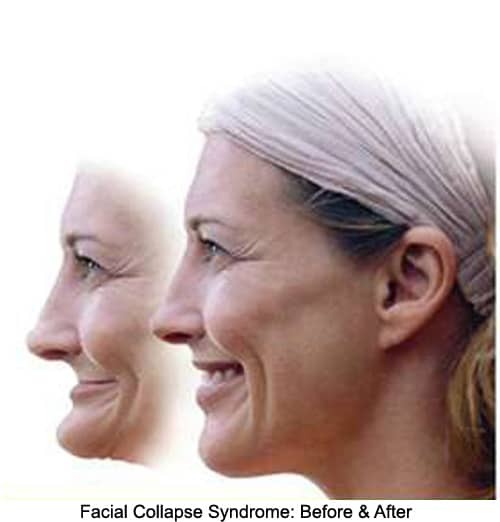 This has the result of causing your jawbone to shrink, which is also why your dentures aren’t fitting properly anymore. Eventually, you won’t be able to keep them in, so this is a great time for you to upgrade to a better procedure. You will LOVE dental implants, especially after years of dentures. They’re secure and don’t move around. Food doesn’t get trapped underneath them. You can eat anything you want. It’s just like having natural, healthy teeth back. Because of your bone loss, you’ll need to start with a bone grafting procedure to build back up necessary bone. 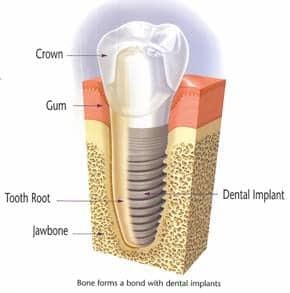 Looking at the picture above, you can see that the implant, which is put in perpendicular to your jaw, needs the bone to integrate with it for support. This is called osseointegration. After the bone grafting is done (which is a simple outpatient procedure), you’ll be able to have your implants placed. It sounds like your daughter received a single dental implant for a single lost tooth. That works fine financially if you’re only talking about a few teeth. You, however, are in need of a replacement for every tooth. Unless you’re independently wealthy, you won’t want to put a single implant in for every tooth. There is a more reasonable option. I’d suggest you go in for implant overdentures. 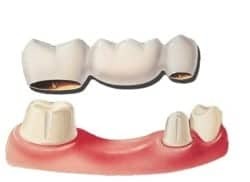 This takes dentures and attaches them to your jaw with dental implants. They are just as stable but will require fewer implants which helps keep the cost under control. There are two considerations when you’re picking a dentist for your implants. The first will be Implant training. You’ll want them to have taken extensive post-doctoral training in implants. For instance, Dr. Newkirk hasn’t just taken classes at the prestigious Dawson Academy for Advanced Dental Studies, he’s on the faculty. The second consideration is their artistry as cosmetic dentists. You’ll want the dentures which attach to your implants to be stunning. This is your chance to get the smile of your dreams. I’d suggest you go to the mynewsmile.com website. They only recommend the best cosmetic dentists in the country. You’ll just put in your zip-code and how far you’re willing to travel for a guaranteed beautiful smile and they’ll bring up a list of dentists for you. This blog is brought to you by Naperville Best Dentist Dr. David Newkirk.